This past weekend I made an amigurumi that was not my own pattern! 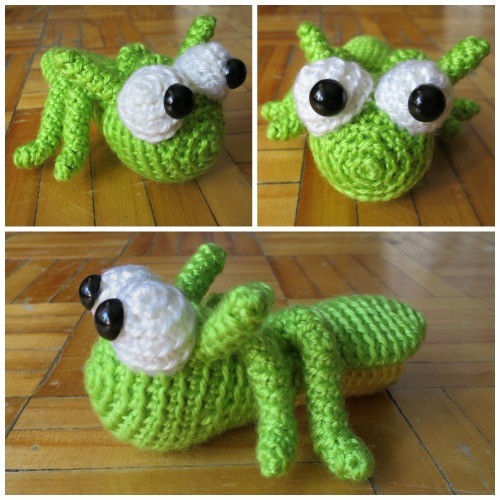 When I saw this guy I just couldn’t resist 🙂 I made the grasshopper designed by Chloe of Amination. She has her own blog, which you can check out HERE. There were a lot of pieces to this bug, but he is pretty small so they didn’t take too long to make. The legs are narrow so they were a little finicky, but worth it, I think! I used Soft and Shiny by Loops and Threads in citrus, yellow and white and 12 mm black safety eyes. 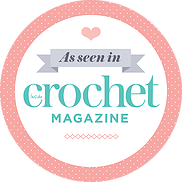 Because he is crocheted into the back loops only, assembly was pretty simple thanks to the free front loops to stitch onto. 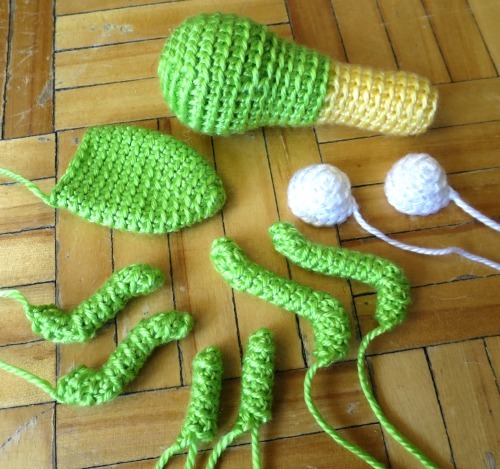 Chloe is currently (May 2015) having a crochet along (actually, a “bug along”) in her Amination ravelry group. Head on over there and check it out! Maybe even make some creepy crawlies for yourself.